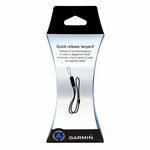 Garmin Quick Release Lanyard. $13.99. So far so good. It seems to be sturdy. It works and is made very well. I haven't used it yet with my pro 550. I bought it for hunting when I have waders or bibs on and can't hook it to my belt loop. However it seems like a solid product. Too heavy. Release clip too big and in the way of the Garmin unit I wanted to attach it to. The release clip seem to release without much pressure, and I was afraid it could become undone without me knowing it. Attach your handheld easily with this lanyard. 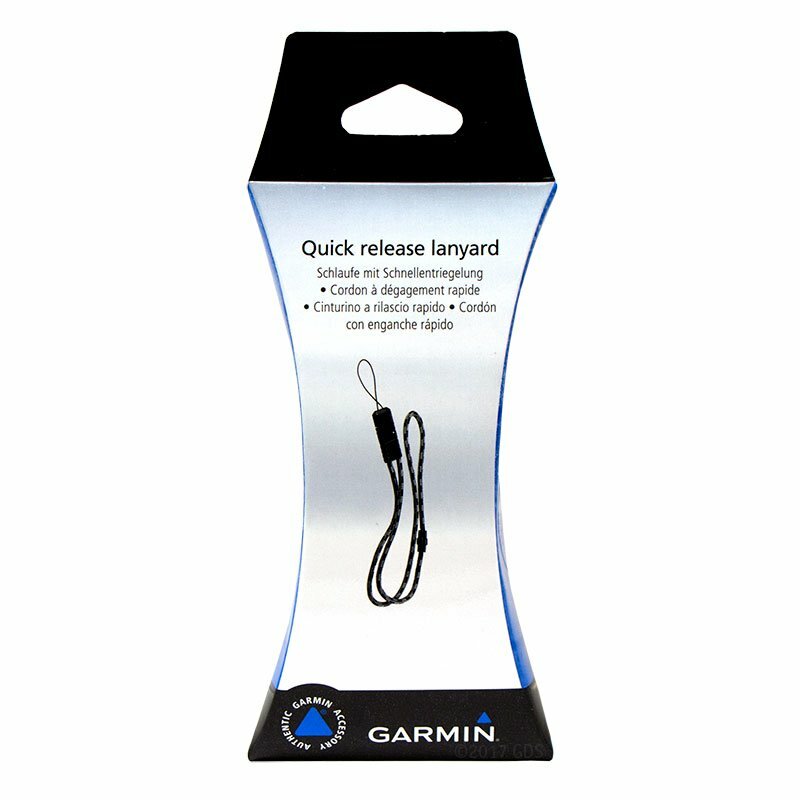 Attach your handheld to this Garmin Quick Release Lanyard and wear it around your neck so you can keep your hands free during training or hunting.